I try to keep up-to-date on different fiber arts tools, esp. new uber-cool spindle designs. Not easy of late, with so many new wood-turners sprouting up! However, I still keep watch on makers I am familiar with — those who made tools I either own or tried. 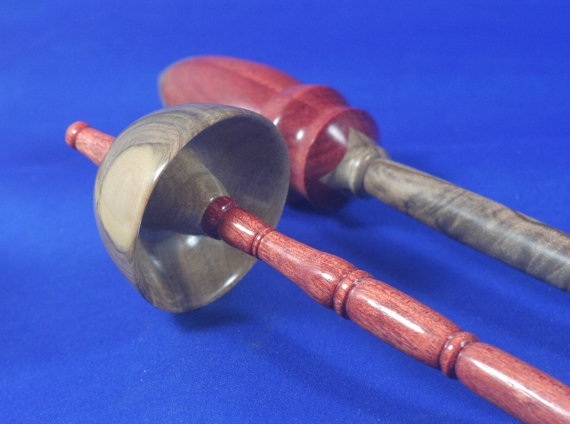 In alphabetical order, Neal Brand, Joshua Lynch and Phil Powell all have new, note-worthy items that caught my eye in the sold section of each spindle-maker’s Etsy shop. Known primarily for his Tibetans, Neal Brand’s unique Russians equal in design and spin. Over the past months, I’ve noticed slight changes in the shafts as well as different shapes in his Tibetan whorls. I’m not sure (and failed to ask) if this affects spin time or length…however, to me, even slight changes in the shapes of the whorls highlight the beauty of the various woods he chooses. Neal says we can expect similar spindles to appear in his shop in the future. Cool. Joshua Lynch of TexasJeans began to offer “mini” sized Russians and Tibetans (approximately 8″L give/take) a few months ago; blending boards; and, most recently, altered the design of his Tibetan — creating a leaner, faster spindle. Useful for travel, tossing in a purse or project bag, or for persons like myself who need a shorter spindle, “mini” Russians and Tibetans are an exciting addition to the TJ line-up. Like all wood-turners I admire, these shorties are not achieved by chopping a few inches off the top and leaving an acute shaft. 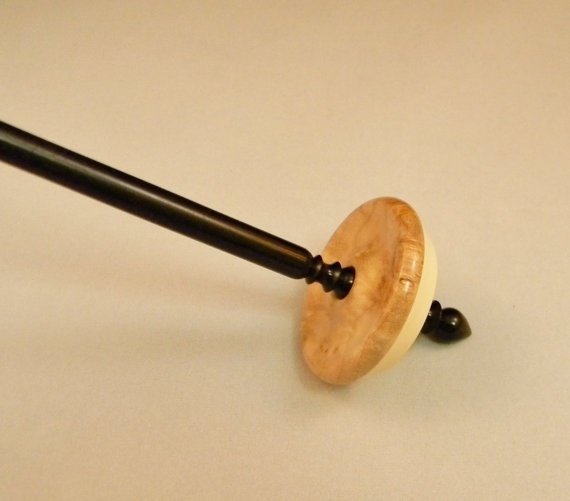 The spindles are well received because they are miniature versions of their larger counterparts. 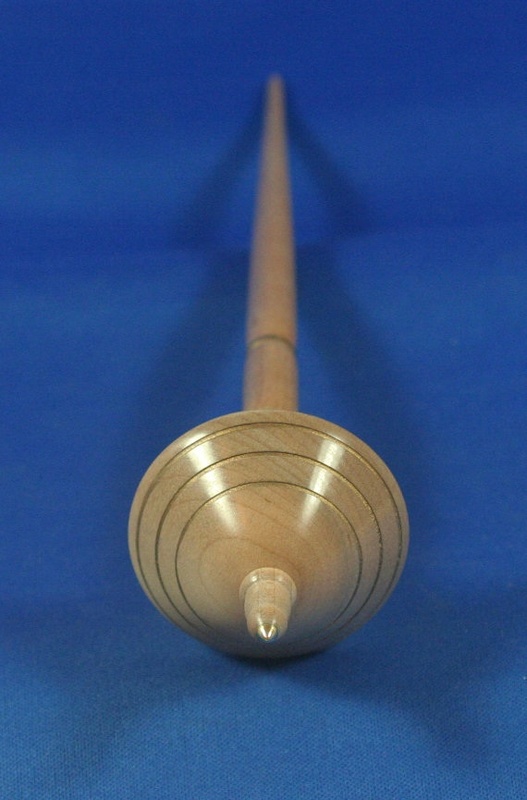 Tips, whorls and shafts keep a similar ratio, which keeps the well-known spin attributes of a TJ spindle. Now, I don’t own one of these minis; however, Joshua is one of the kind makers who made short spindles for me to use easily whilst sitting in my wheelchair (actually, 2 Maples that spin as true as the day they arrived around a year ago) and a Tibetan last winter, also smaller. 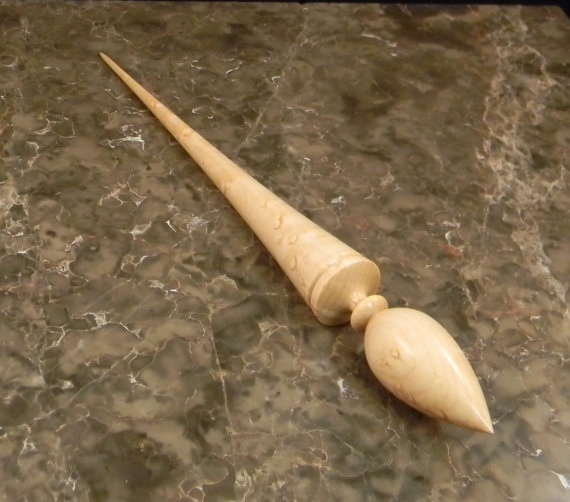 Photos of my spindles look exactly like any other spindle, which shows me the proportions must be similar. 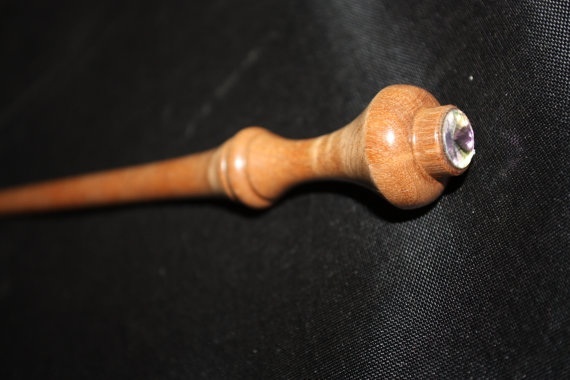 Whether well measured or Joshua’s natural eye, these exciting mini-spindles offer many possibilities for those leaving the house, spindle in hand! Joshua also began making Blending Boards. I’ve never seen/used one, but it was humorously described to me as “the poor man’s drum carder” (of which I’ve never seen/used either!). 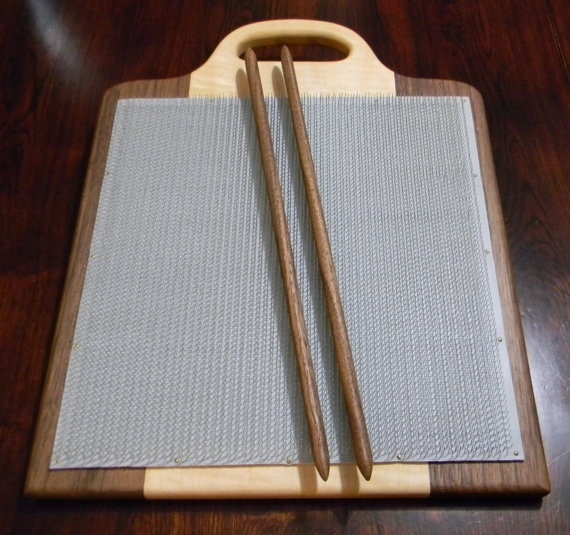 Made of Maple and Walnut, with a strip of TPI cloth attached to the board; remove fiber with Walnut sticks, using a technique that allows you to form blended fiber into Rolags. Joshua makes a limited number of boards; to my understanding, custom made on a first-come basis of which he limits the amount per week. I will try to confirm this in the next week or two. Finally, Joshua amended the process and design of his Tibetans as well as developed a new system for balancing each spindle. Joshua pointed out that I misunderstood the new method of turning his Tibetans; best said by the maker himself, Joshua explained, “I don’t turn the shaft and whorl as a single piece. They are turned seperately and glued together after completely finished. I put the two pieces together without glue for balancing. Once that is done then I glue them up and have a finished spindle.” (Thank you for correcting me; the article continues as originally written below). Joshua announced (on Rav.) 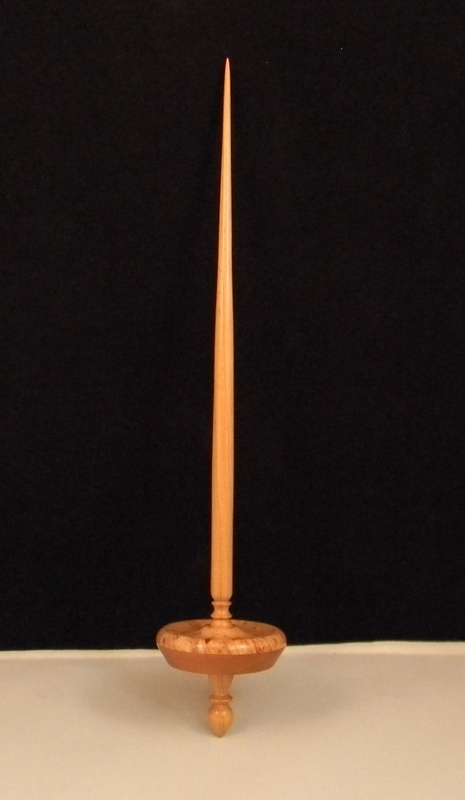 that the shafts are thinner, spindles seem to spin faster and new Tibetans are easily discerned from his “older” design with decorative lathe work above the whorl. Each spindle is individually balanced. 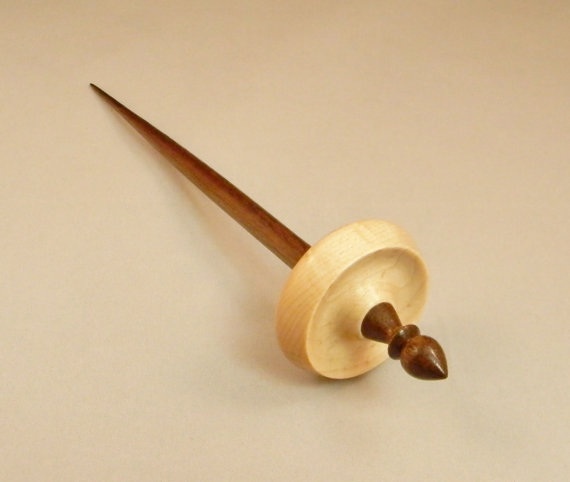 If your spindle contains a small round “spot” on the bottom of the whorl, no worries — this is merely a slight adjustment assuring weight is distributed equally across the whorl. note the design above the whorl, found in all new Tibetan designs. Russians with Swarovski crystals as points! Coined his “gem-collection,” as of now, Phil intends this to be a unique line of spindles. 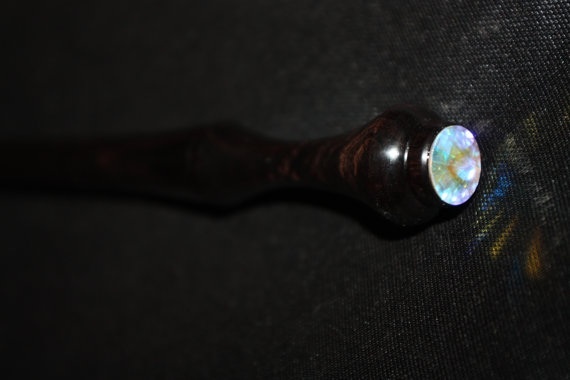 No worries to those of us who enjoy his faster-than-a-speeding-bullet metal-tipped spindles; and exciting for us collectors, amazed at the interaction between crystal and wood. Without comparing the two, spinning on a Swarovski crystal…just plain cool. 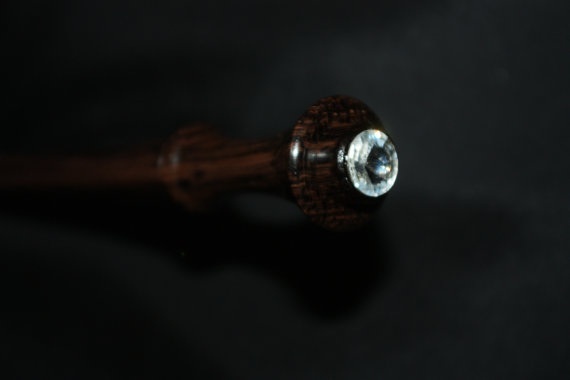 Each spindle in Phil’s gem-line will be inscribed “proto,” with a numeric identification and Phil’s customary signature — whether purchasing to spin, collect or both…the validity of each item will be clearly marked. Three talented spindle makers, keeping the world of spinning exciting and spindlers saving to expand his/her collections! PS: I don’t have any photos or specifications….however, Ian Tait (IST) has added Tahkli’s to his spindle line-up!! Whorls are either made by hand with brass or with coins — expect to see these on his website soon! Very cool.